﻿ This month I am super excited to be featuring a very talented Rootworker and Palo Priest! But this year, I had become better acquainted with Dr. E and his practices. I attended his workshop at PantheaCon on The Unnamed Path. Although it was not geared for something I was interested in personally, I wanted to get to know more about this amazing Root Doctor and to see the many facets he possessed. WOW... what an incredible amount of information and spiritualism that this man holds is truly amazing! I was blown away by it all. It was moving. I will leave it at that. 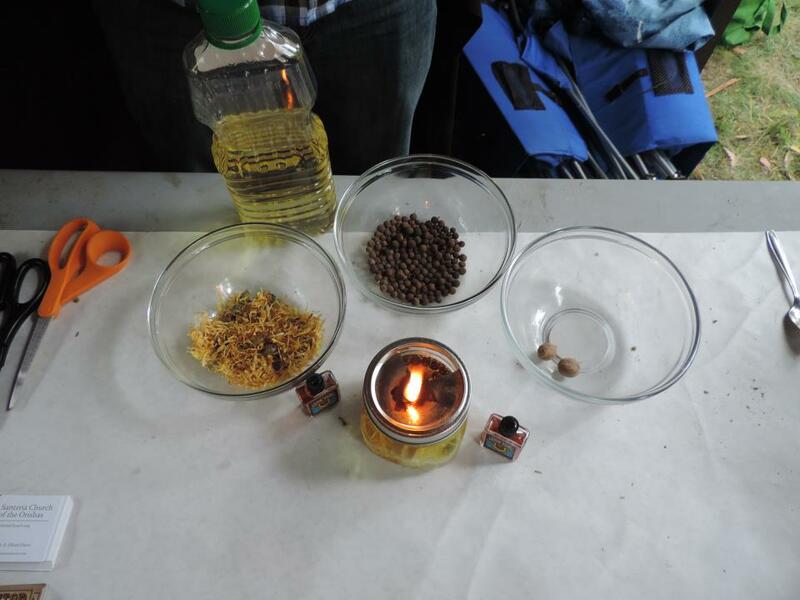 I immediately signed up for the workshop on making Rustic Hoodoo Oil Lamps given by yours truly: Dr. E! What I really liked about his class was that he had cited some great historical facts of oil lamps used by various cultures around the world, and the different oils to be used for different conditions rather than having to use the malodorous kerosene lamp oils commonly used today. 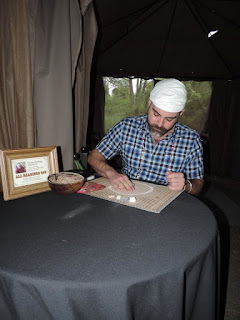 I am a huge fan of his blog... it is one of the essential reads for anyone who is curious about or is practicing Hoodoo for themselves. I am always having an "Ah Ha!" moment each time I log on. 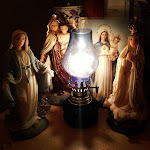 Dr. E can also be found on Blog Talk Radio on Candelo's Corner and the Lucky Mojo Hoodoo Rootwork Hour giving readings and Rootwork consultations. Ladies and Gentlemen... I give you Dr. E! Do you belong to a professional association that requires readers and rootworkers to abide by a code of ethics? I belong to the Association of Independent Readers and Rootworkers. We all adhere to a strict code of ethics and a code of conduct to help our clients rest assured that we conduct ourselves with the highest levels of integrity. Link to Dr. E on AIRR: http://readersandrootworkers.org/index.php?title=Dr._E. What kinds of readings do you perform? My favorite tool for divination is the tarot. I use the Radiant Tarot which is a recoloring of the traditional Rider-Waite-Smith Tarot Deck. 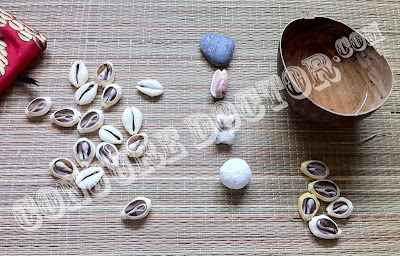 I also give readings with the Diloggun (Santeria Cowrie Shell Oracle) and with the Chamalongos from Palo Monte. As a medium I am occasionally called upon to give spirit readings as well. Which of the reading styles you use are most popular with your clients? I would say the most popular styles are Tarot card readings and Diloggun. 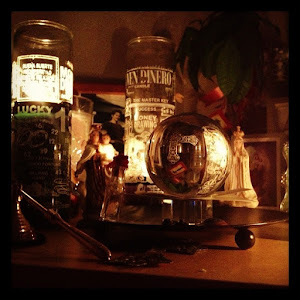 Who was or were your divination teacher or teachers? Tarot was one of the first things I learned when I was a teenager. I am mainly self-taught with some help from books and workshops that I attended, including workshops taught by Mary K. Greer. I learned Diloggun from my friend Ocha'ni Lele and from my godfather Jesus Castellon. Do you prescribe spiritual supplies for the people you read for? 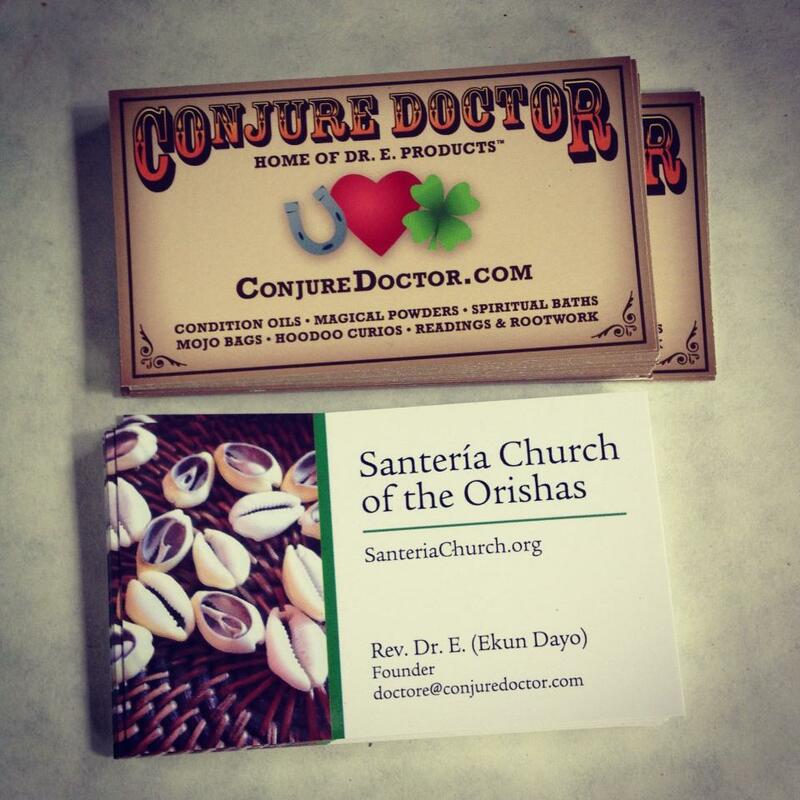 I regularly prescribe spiritual supplies from my line of Dr. E. Products found at my website http://conjuredoctor.com. I like empowering my clients with the tools they need to make change in their lives. I'd say my favorite thing to do is prescribe herb baths for my clients to take over a series of days so that they can cleanse their physical bodies and experience the visceral energy of taking a magical bath. Do you teach spell-casting or do magical coaching with your reading clients? I do magically coach my reading clients, especially if they are going to be using prescribed products, or if they are root workers themselves who need a bit of guidance. 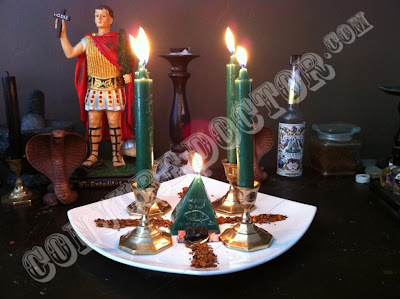 I love teaching people the lore of hoodoo as well as effective magical techniques that they can use in their own spells. 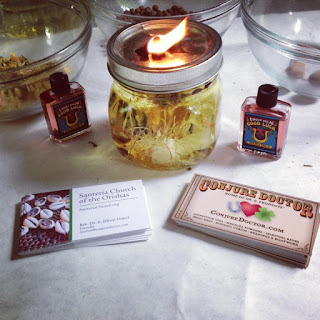 All too often, folks get too worried about little intricacies in spell work and I like to bring my clients back to the heart and spirit of the work so that they can accomplish their spells with confidence and less anxiety. How and when did you first hear about hoodoo rootwork? I heard about hoodoo back in the late 90s and had always heard it was very close to the Congo style of magic used in Palo. 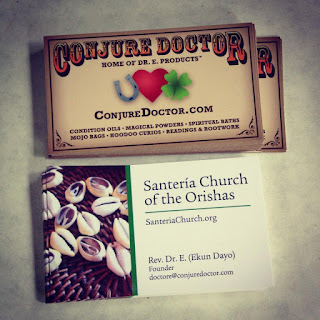 As a Palo priest I was always interested in finding out just how close these two systems really were in terms of magical technology, so I researched it online, found out about Miss cat yronwode's Hoodoo Rootwork Correspondence Course and I signed up for it. I learned quickly that the magical techniques were indeed very similar. It was as if the religion had been stripped out of the traditional Congo ways and replaced with Baptist Christianity - but all the magical techniques were the same. Who was or were your rootwork teacher or teachers? Miss cat yronwode has been my biggest influence and teacher in hoodoo. I've also learned from using the congo techniques of Palo that my godfather taught me. 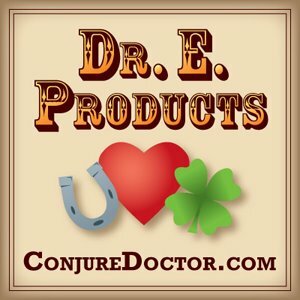 How long have you been professionally practicing divination, psychic reading, hoodoo rootwork, or conjure doctoring for clients? 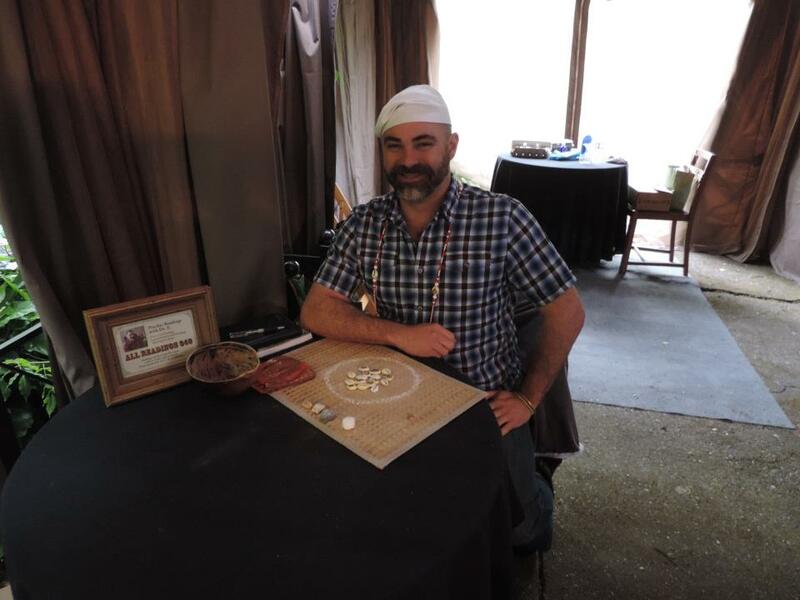 I've been reading and divining for clients for over 18 years. I've been practicing hoodoo professionally over the last 6 years. 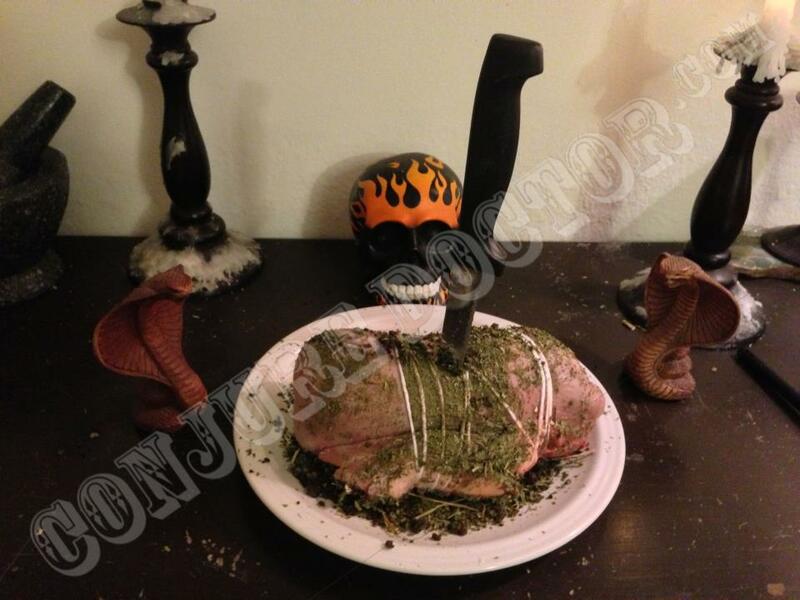 Beef Tongue Spell to "Silence your enemies"
What kinds of hoodoo spell-casting cases have you handled successfully in the past? I work the full gamut of spell-casting cases but the majority of my clients seek me out for reconciliation and love work. I also have a healthy amount of clients seeking me out for powerful cursing work and uncrossing work. I have a proven track record for bringing estranged lovers back together, for cursing people when justice is needed, as well as removing awful curses from my clients. Can you provide me with any references from among your clients? You can see a full list of reviews in my AIRR profile or, even better, visit my website and pull up the various reading and rootworking services I offer, then click on "Read Reviews" to see how satisfied my clients are with the rootworking services I provide. What are your strong suits as a magical spell caster and rootworker? I have excellent results with curse work, especially when it is a case requiring justice and a re balancing of the scales. I excel at inflammatory confusion work as well as doll baby spells to hold evil people accountable for their harm. I am also well known for my work with reconciliation cases. I like working to bring a broken couple back to a place to healing, acceptance and togetherness. I also love doing spell work to draw steady and quality employment as well as spell work for financial stability. 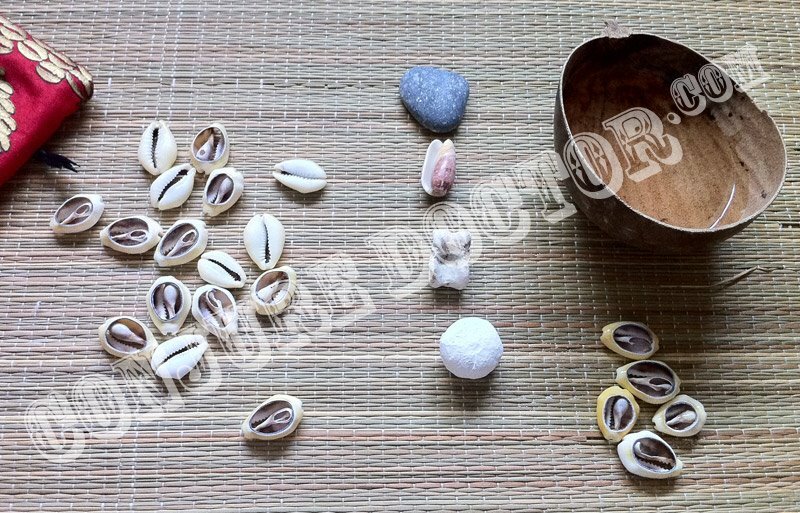 I strongly advocate for my clients to get rid of their debts and cultivate wiser ways of spending their money and I weave rootwork into the mix. I'm also very talented at breaking curses or hexes off of people. I was cursed in the womb when I was a baby and since I survived it, I have a talent to breaking through the jinxes others cast and dismantling them once and for all. What are your weaknesses as a magical spell caster and rootworker? I cannot do any spell work on court cases or issues pertaining to legal battles. I typically refer these to another AIRR member who can better handle them. I also do not perform break up work because I often find that the reasons are unnecessary and spiteful. Do you have any moral or religious limitations on the kind of magic spells you will perform for others? If so, what are they? I will not perform court case or legal battle spell work because of a religious taboo I was given once I became a priest in Santeria. I am not to mess with the justice system so that I do not end up a subject of the justice system. Do you work according to the precepts of a particular religion, and if so, which one? 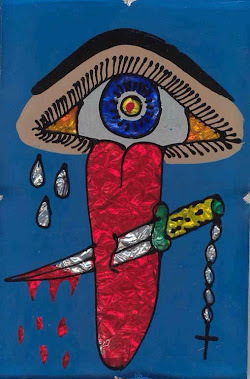 I take a very shamanic approach to my spiritual work. I believe in relationships with the spirit in all things. I weave this philosophy into my approach with rootwork. 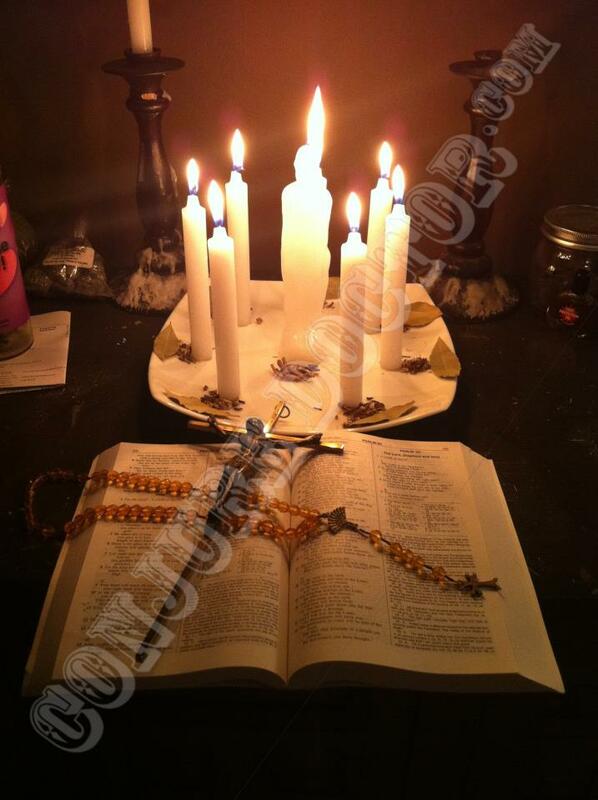 Religiously I am comfortable within the doctrines of Santeria, Palo, Spiritualism, Shamanism and Christianity. 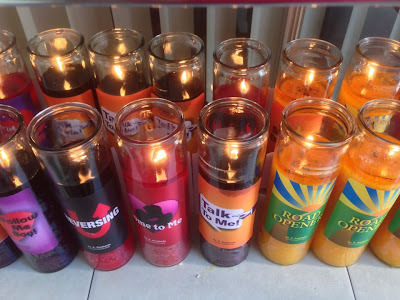 How long do you think I should have to wait before I can see results from your spell casting or altar work if we are going to have positive movement ? This question largely depends upon the complexity and type of rootwork being performed. For example, an uncrossing spell works very quickly with almost instant results, where a reconciliation spell may take months to show any noticeable change. I don't give any guarantees for how fast a client can see results because there are many factors involved including individual habits, attitudes and adherence to the magical coaching and behavioral modifications I recommend as part of a rootworking consultation. What could I be doing at home in combination with your rootwork and prayers to improve the chances that my aims and goals will be achieved? Typically I recommend that clients perform herb baths in conjunction with spell work I am doing, or regular prayers (like a novena). 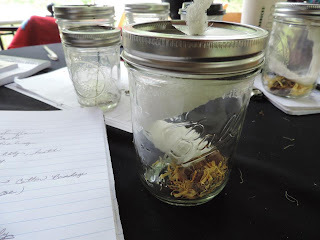 I often send items to my clients for their use while I am doing rootwork. These items can include mojo bags or condition oils to anoint themselves and center the magic around their physical body while I am doing work at a distance. If the spell casting or altar work I hire you to do is not successful, how would you suggest that I proceed next? If this happens I typically recommend the client get a follow-up reading to get to the bottom of things and find out what is happening and if there is a need to change tactics with rootwork or with behavioral modifications. Do you provide magical coaching services? Yes, and I enjoy coaching others through their own magical work. There are many intricacies and little things to add into a spell that are often overlooked when folks write up spells in books or online. I love leading people through these details as part of magical coaching. As a Teacher, what would you advice would you give someone just starting out in Reading/Conjure Work? First and foremost remember the cultural origins of conjure. Learn about the culture of the South, Black culture and people who preserved rootwork for generations. 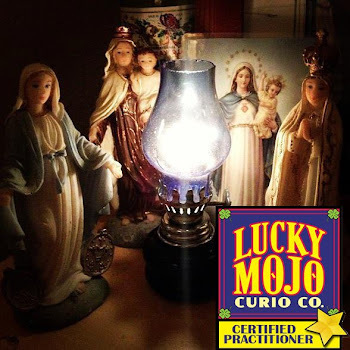 Honoring their ways is of paramount importance in learning conjure. Secondly I would say that it is important to learn a divination method. Master it early on as it will be of great help when consulting others for rootwork cases. Finally I'd recommend staying in contact with other root workers and always comparing techniques so that you can stay fresh and continue to learn more magical techniques to add to your toolbox. OH! And one last thing!.... 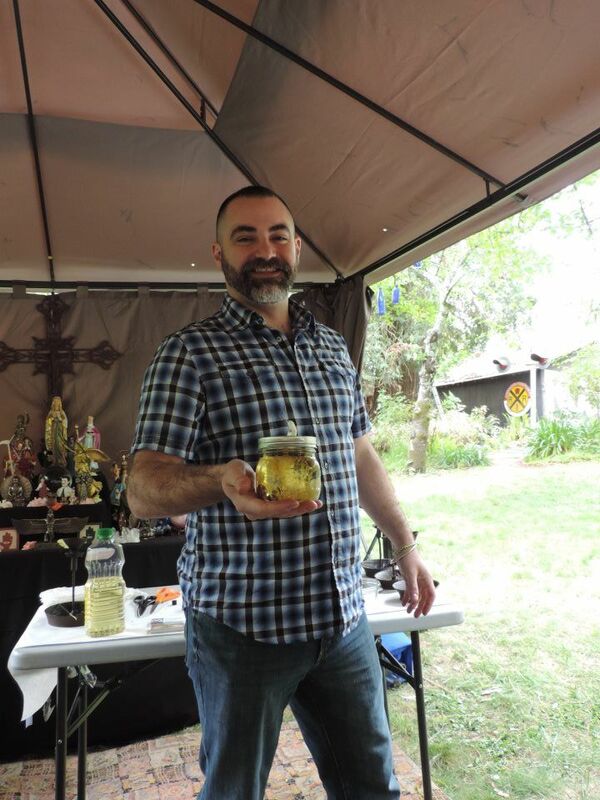 As a result of my success in landing a job just recently by petitioning St. Expedite for his help, Dr. E personally gifted me with one of his very own exclusive bottles of St. Expedite Oil. It took everything I had NOT to fall over at that moment... Again, I was blown away! This oil is the Mercedes Benz of anointing oils and the scent... Just WOW! Oh Yeah... I "pimped" that oil all weekend long. People need to know not only about this Root Doctor but his products are Bar None Elite! Lastly, his Customer Service.... OK I cannot stress how important this is in this day and age especially when things are primarily done over the Internet and "in person" business transactions are becoming a thing of the past. 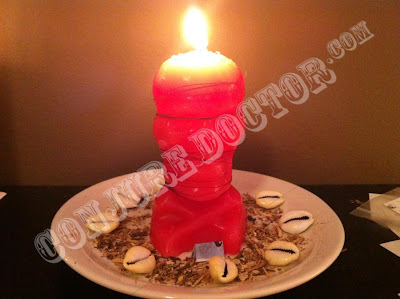 Not with Dr. E.
While I have not YET had any Rootwork done by him, I have had vigils set and it is comforting to know that you do in fact get an email when your candle has been lit, when it was done, and a full report. Tell him Coastside Conjure sent ya!